The insular Corporation plans to invest five million euros to this project telecommunications over the next year. The Cabildo of Tenerife this year has allocated 2.2 million euros to improve the Internet service on the island by optical fiber, an initiative included in the so-called Ring Insular Telecommunications. The insular Corporation also plans to spend about five million over 2017 in this project, he reported the Minister of Tenerife 2030 Area, Antonio Garcia Marichal, after a visit to Guia de Isora to improve coverage of connection in this part of the Island . Martin has asked the Tenerife Cabildo infrastructure advantage as the branch Fonsalía to move the optical fiber and to also cover centers like Alcalá and Playa San Juan. “The implementation will not be as fast as we would like but I appreciate the initiative of the Cabildo of Tenerife, because in two or three years we can considerably improve connectivity and speed of internet communications”, said the mayor of the municipality. In a first phase of this plan will connect the optical fiber that currently is running to install on the highway to Santiago del Teide Adeje. This could be connected with Guia de Isora, to serve official facilities and offices dependent Cabildo is in the city, “said City Councilman. Antonio Garcia Marichal has expressed its willingness to do this work and to collaborate with the City Council to expedite this request if possible. He spoke of “reaching agreement on these demands” with the strategy of the Cabildo when articulating “a true telecommunications network throughout the island that allows no citizens first and second category but the opposite”. 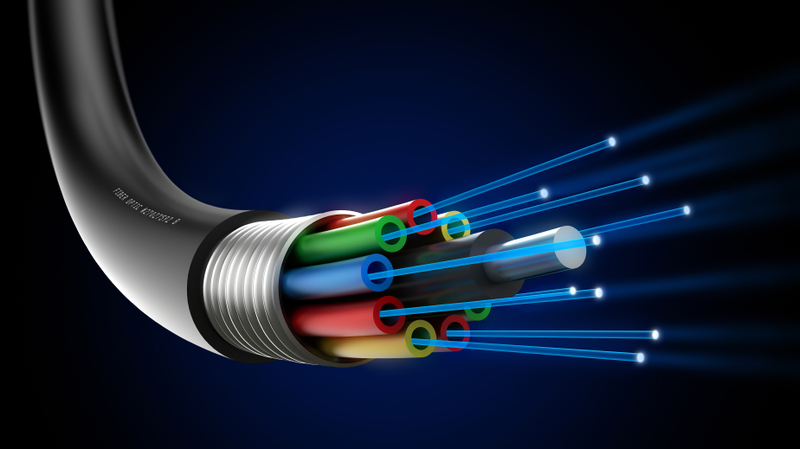 In other parts of the island it has already advanced with fiber optics through private investment. Once the insular Vertebrate telecommunications network is expected to offer services to telephone companies to take care of these dwellings and reach private business. The council expects the Ring of Telecommunications be completed within two years. The last section, which runs between La Laguna and Santiago del Teide led optical fiber 14 other municipalities. The conclusion of these works, which consist of micro-trenches on the side of the highway and the main road connection will favor high-speed data smoothly and efficiently for different purposes. This backbone will improve some of the Cabildo services, such as monitoring of roads, by ainstalación camera, or the connection between the various centers which the council has in the vicinity, making it more efficient and economical. This second phase of telecommunications ring traverse 57 kilometers between La Laguna and Santiago del Teide and has had a cost of 2.2 million euros.